1. Heat oven to 200C. Spray the roasting tin with fry light spray olive oil. Tip all the vegetables into a large roasting tin and toss with the coriander seeds, salt, and pepper. Spread everything out to a single layer, and then roast for 45 minutes; tossing once or twice until the vegetables are roasted and brown round the edges. 2. 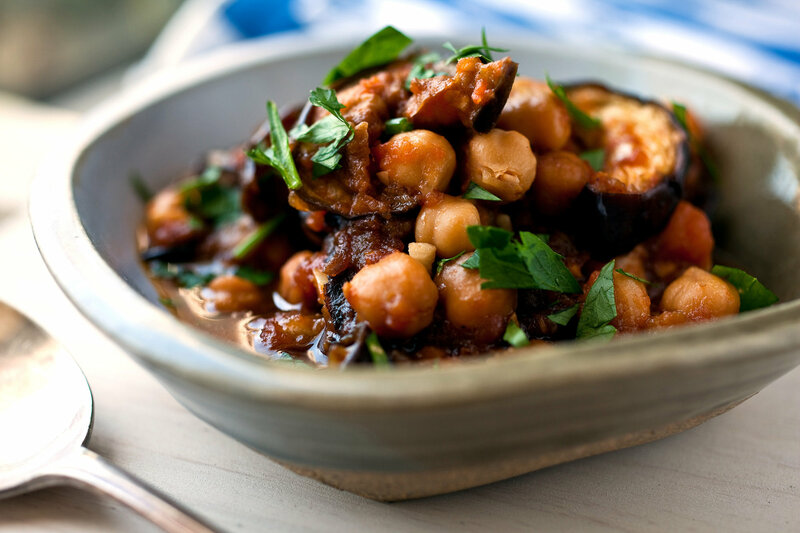 Place the tin on a low heat, then add the tomatoes and chickpeas. Bring to a simmer and gently stir. Season to taste, then scatter over the coriander. Serve with 2 slices of slimex bread.